Please support the work that we do by purchasing t-shirts for your friends and family. There are lots of colors available for women, men, and kids. 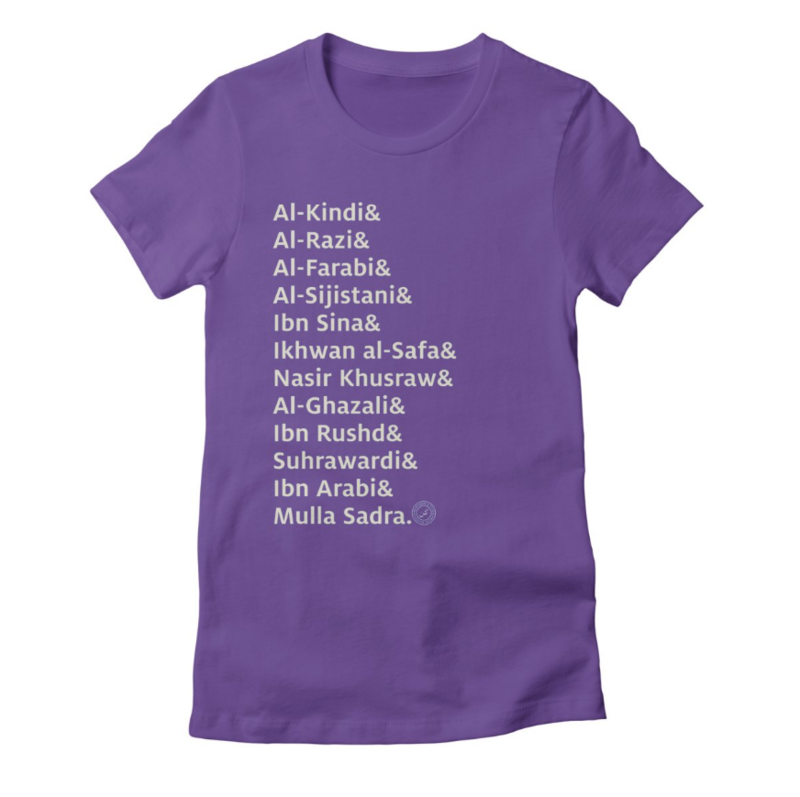 "Love Me Some Muslim Philosophy"
Remember the intellectual heritage of Islam with the names of our most celebrated philosophers and theologians. "Love Me Some Muslim Poetry"
Remember the poetic heritage of Islam with the names of our most celebrated poets.